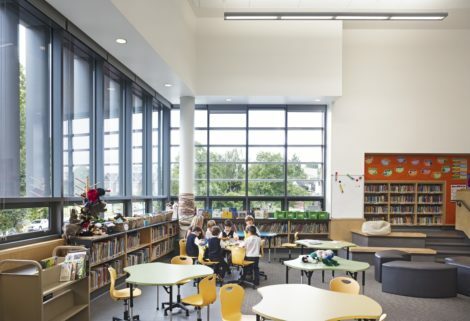 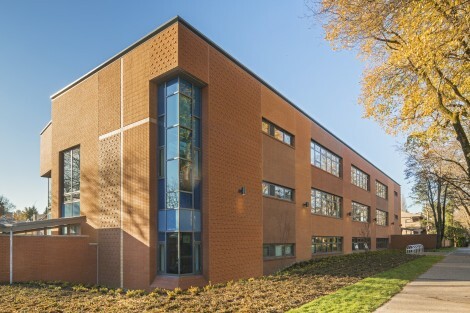 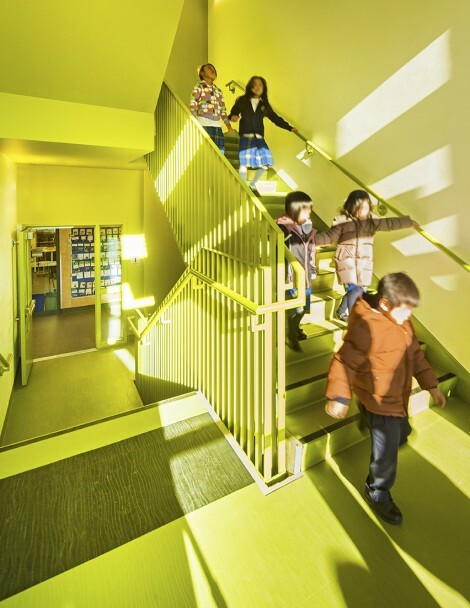 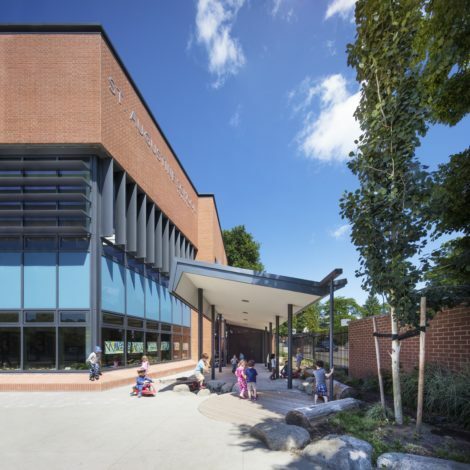 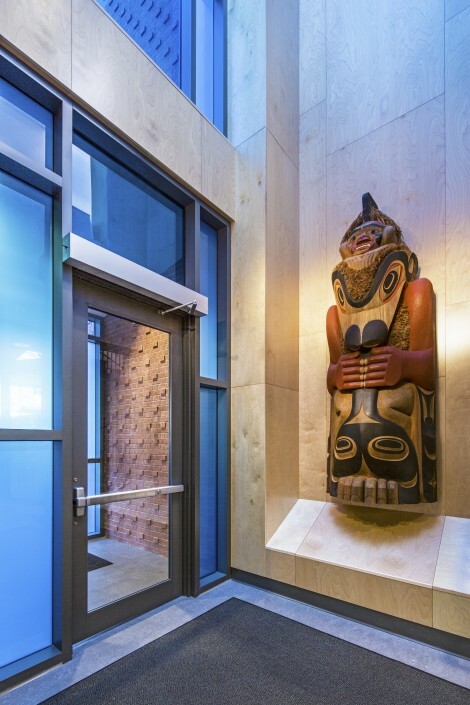 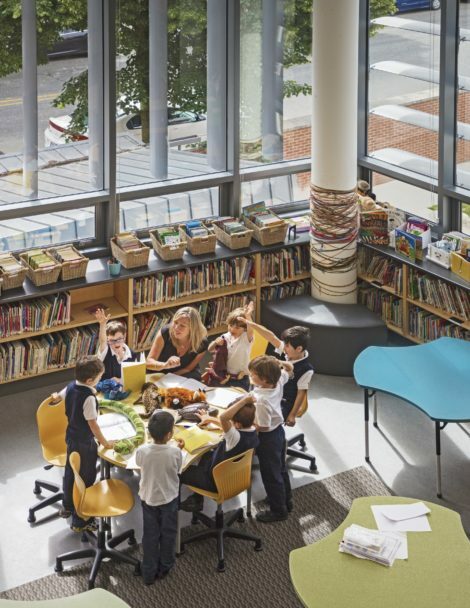 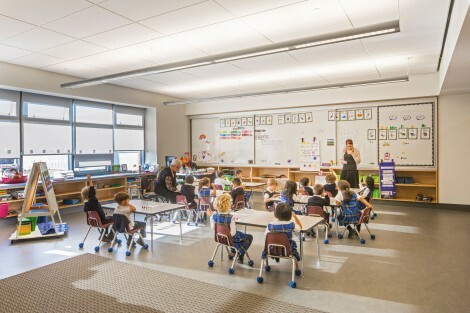 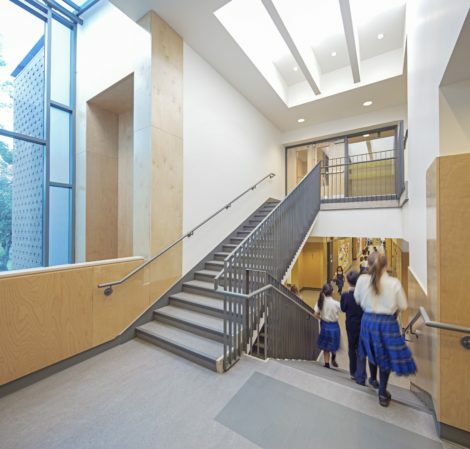 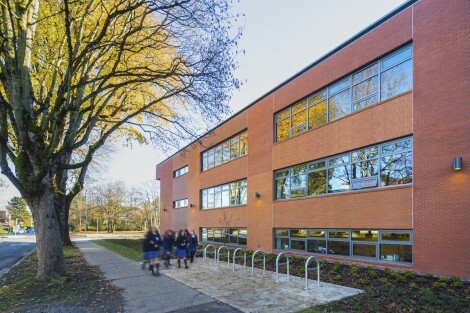 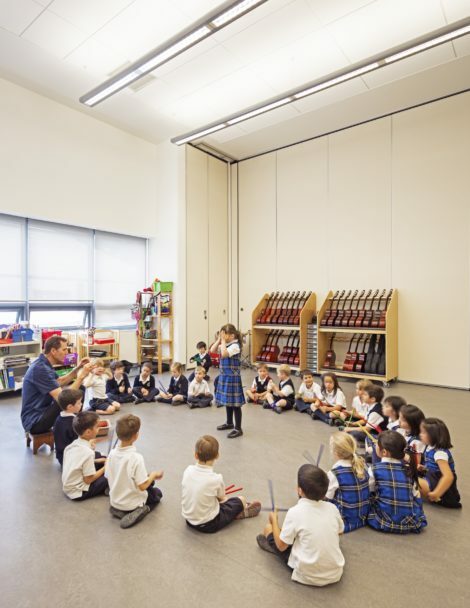 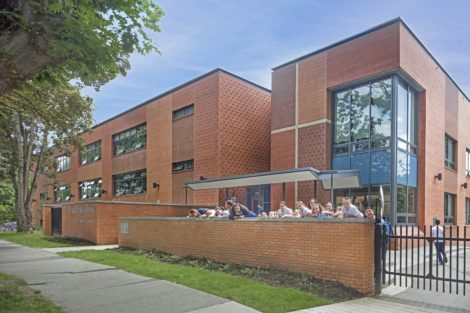 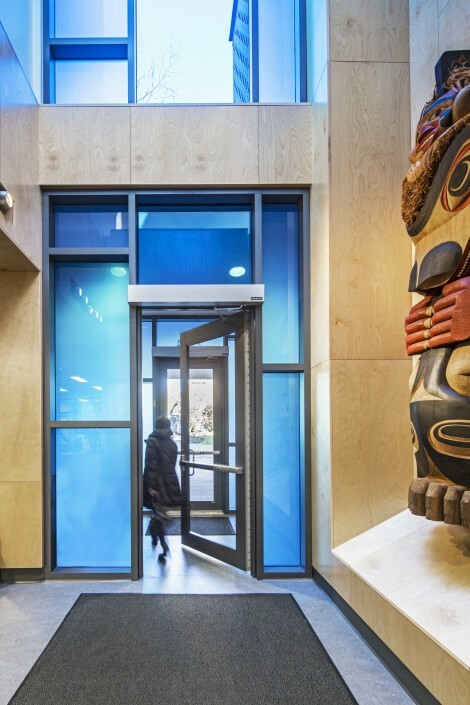 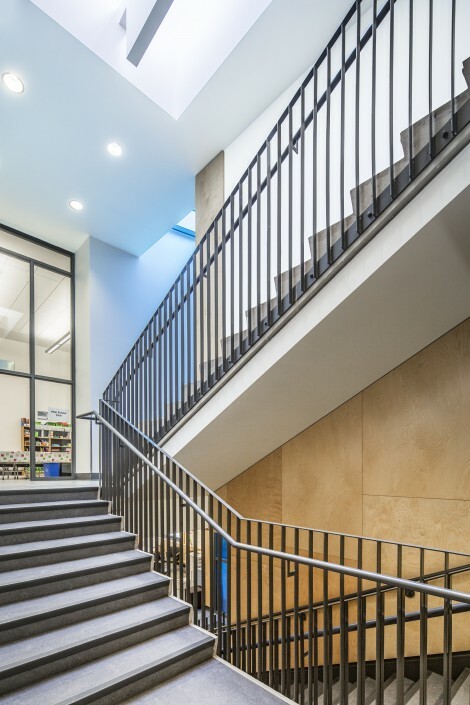 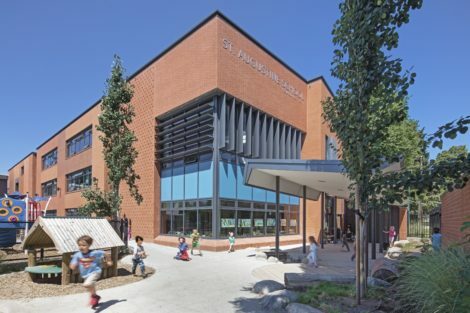 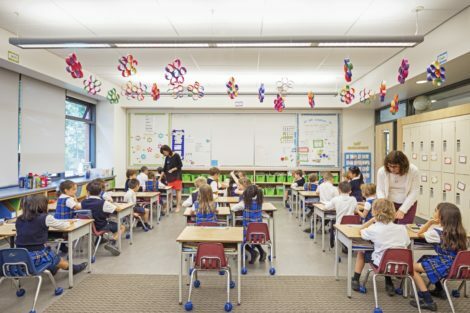 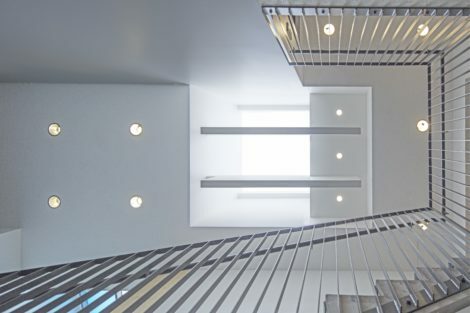 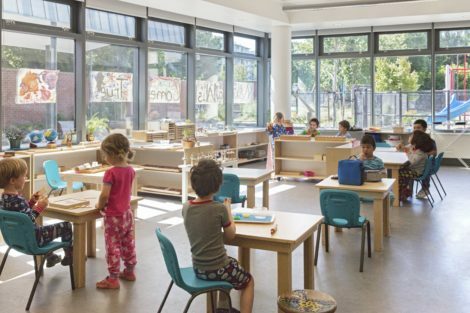 Completed in 2015, the first phase of the 300-student, 4,200 square metre St. Augustine School features fifteen classrooms, a learning commons, multipurpose spaces, child care and outdoor play areas. 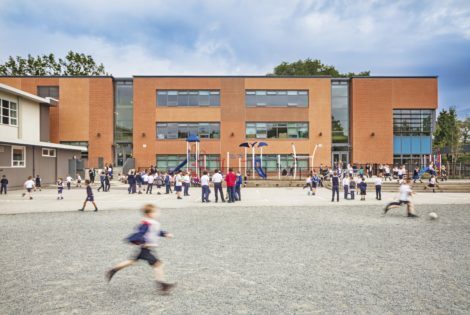 The second phase of the project will include a new gymnasium and underground parking. 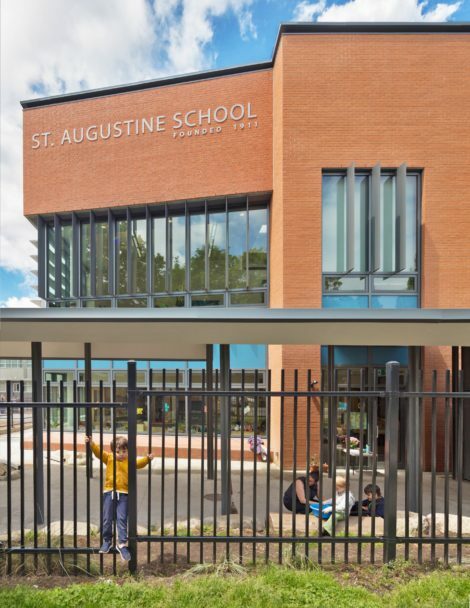 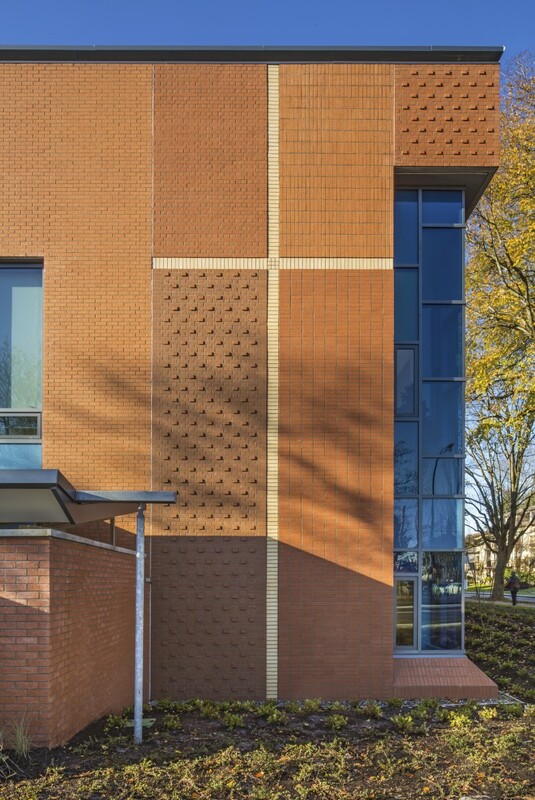 The new school, clad with a playful red-brick masonry collage, provides a symbolic link to St. Augustine’s Church and Parish, located one block to the east, and pays homage to the original church and school building that once occupied the site. 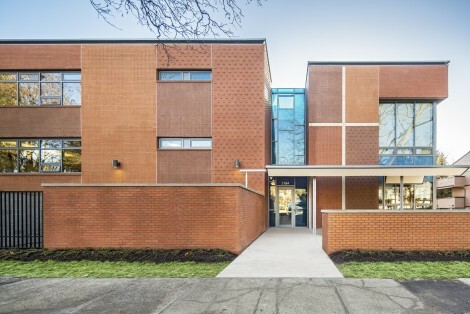 Buff-brick cruciforms modestly mark the building as a Catholic institution and freestanding brick walls delineate and anchor the school to the site. 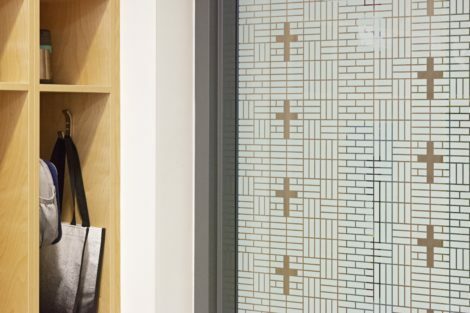 Blue-coloured glass represents Mary while folded steel canopies recall the form of a nun’s habit.